Is your back not as supple as it used to be before? A bad back is normal, and many people deal with it from time to time. For those who are in this position, you will need to customize your workouts to ensure the back isn’t facing the brunt of what you’re doing. Here is more on what you should be looking into doing. These are not a good idea and will put too much pressure on your back. The weight can tweak something, and it could take you out for months. Don’t risk it and avoid the movement as a whole. The same applies to the average leg press machine you are going to have at the local gym. You cannot lie down and do the leg press because it is going to put all of the stress on your back. The back plays a significant role in this movement, so avoiding it is a must. Keep these out of your workout routine. Too much pressure is placed along your back when the weight sits on your shoulders. It’s better to avoid this movement even if it provides great results. You will end up aggravating your bad back. Instead, you want to take a look at the front squat. This aligns the pressure to the front of your body (i.e. core) and helps alleviate pressure on the back. You will still see great results. You want to build natural strength, and that’s going to come with variations of pushups. Don’t ignore this option as you look to figure out the best approach moving forward with your bad back. 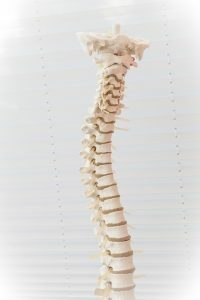 Life will become easier if you are using this as the ultimate solution for you and your back.